I have been using this eyeliner for almost six months now and I'm not planning to change liner anytime soon. I feel this liner is so easy to apply and it gives you the perfect thickness and shape for a cat eye look. It lasts all day but at the same time is easy to remove. I got a sample in my Birchbox a whole ago and loved it so much that I had to buy another as soon as my sample ran out. It is so easy to use, gets the perfect line each time and stays put all night long. Definitely a make up bag essential in my eyes! I adore all the eyeko products, and I wanted to love this one, however I find it drags on my eyelid and it won’t create a really fine flick. Maybe it’s just me?! 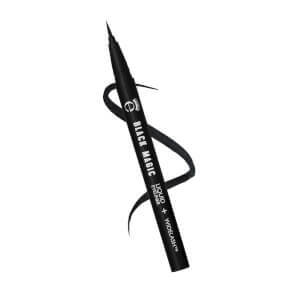 I personally prefer the Black Magic liner because it has a brush tip (rather than a felt pen tip like this one). 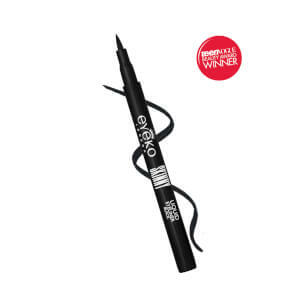 I would happily use this again, but it won’t be my go-to liner from Eyeko! Fantastic texture, rich black, stays in place. Great product. I stopped buying others which were never as great. Easy to use even if you are a novice! Gives great smooth lines, i would absolutely recommend! I have been buying this eyeliner for years now and have never found one that even comes close in terms of quality and ease of use. If you are not confident with your eyeliner then this is the perfect one to help you become a pro. The black colour is the best I have ever found. PLEASE NEVER STOP MAKING THIS! 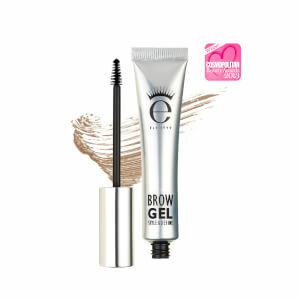 Very easy to use, lovely fine tip that glides over the eyelid. I have been waiting to try this eyeliner for a long time. I finally got it and even though its easy to use, have a great finish and colour it smudged , what is for me a big downside. I have use it twice on a sunny/warm day and its does not stay. This is such good eye liner. It goes on effortlessly. I'd never used another brand that works as well as this. Perfect thin straight line every time. I would give this 5 stars but I have a preference for another eyeko line. I prefer a brush tip over felt tip. Goes on upper lid underneath better than anything I've used. Dries quickly. 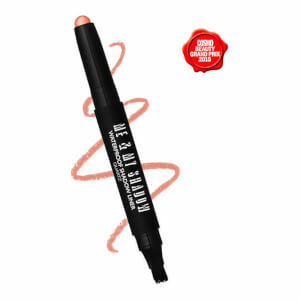 Great for lower lid over a powder liner or pencil to keep that dark line in place all day! Does not travel down underneath mature eyes. A great product that does everything it says it does!